Later this year, I will welcome my first child to the world. Compared to most new black babies, this little one will be privileged. 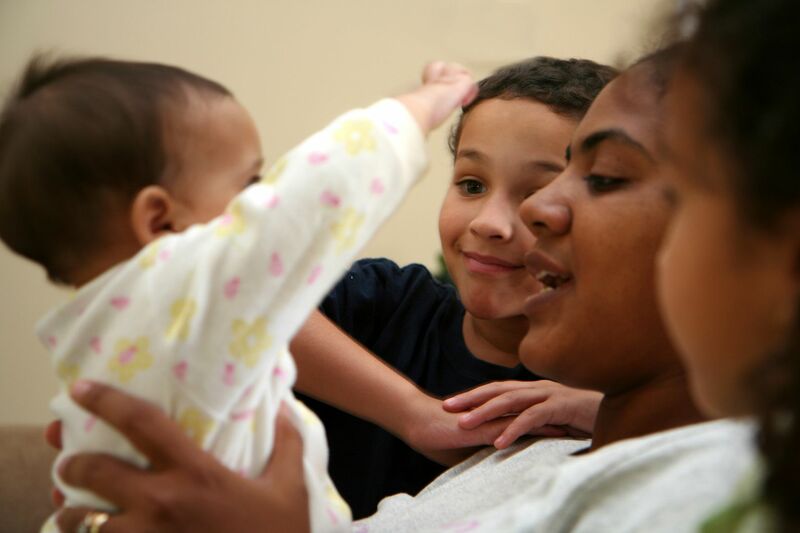 Some 64 percent of black children are born to single mothers, the highest rate for all races, and more than double the rate for white children. My baby, however, will be born into a two-parent household, and one in which both my husband and I work and enjoy full benefits. Importantly, I have both paid parental leave and flexible work arrangements to help me transition back to my job. Sadly, despite how well black women are doing in the labor force today, my situation is not the norm. Unemployment is at an all-time low and small business ownership among black women is growing at the fastest pace of all demographics. But we need to ensure that black mothers can remain in the workforce when they have a baby. The U.S. is the only developed nation that does not guarantee paid time off after child birth for workers. Most employers provide some paid time off for full-time workers, but still many new parents lack paid leave benefits or have less time than they need to recover from birth and bond with a new baby. Thanks to the job market and savings from the recent tax cuts, major employers like Chipotle, Starbucks, andCVS have expanded paid leave benefits to their workers, including part-time and hourly workers — a big win for the working moms at those companies. Still, paid parental leave can be too costly for small- and medium-sized businesses, leaving many new moms with few options. One-in-five mothers reported quitting their jobs after having their baby — at 26 percent, that rate was higher among black mothers than women of other races. To cover lost wages and salary, nearly one-in-five people who had some or no parental leave say they went on public assistance. These people should have better options. There’s a new effort to expand paid parental leave, and this time it’s led by conservatives. The time is ripe for the Right, which extols the values of work and family, to offer solutions for millions of working households. Paid leave boosts labor participation and health among women, improves the healthand future prospects of babies, and prevents families from sliding onto government dependence. Providing mothers with paid time off following the birth or adoption of a child enjoys near universal support according to Pew. The question that society grapples with is how do we pay for it and provide it without discouraging companies from continuing to offer benefits? Government could create a new entitlement program and impose a new tax on businesses or taxpayers to fund it. Some states have taken this route, and such a program has been proposed at the federal level, like in the FAMILY Act. But this is a political nonstarter. Congress simply isn't going to create an entirely new entitlement program and impose a new payroll tax that would leave every worker with less money in their paychecks. Policymakers know that mandates on employers are equally as expensive, and many employers would respond by limiting employment and wages, and reducing current paid leave benefits and flexible work arrangements. Women would disproportionately face these unintended consequences. Women’s advancement in the workplace also suffers from paid leave schemes. European countries offer more generous paid leave benefits, but less than half as many women hold managerial or advanced positions than American women, and Europeans are mostly working in part-time and lower paid positions. Congress now has a chance to act on a paid leave proposal that won’t place a new tax on workers or businesses, crowd out private-sector benefits, or do unintentional harm to young women in the workplace. Sen. Marco Rubio, R-Fla., is introducing a new bill on Thursday to address these challenges. Rubio has turned the Independent Women’s Forum's idea of Social Security Parental Leave into legislation to offer new parents paid leave with no new taxes, no mandates, or no additional government bureaucracy. Under this plan, moms and dads would have the option to take Social Security benefits early as parental leave in exchange for delaying collection of retirement benefits by an equal amount of time in the future. If you’re satisfied with your benefits, you don’t have to opt into the program. This plan, which would affect an estimated two million workers, gives some financial security to parents, especially those living paycheck-to-paycheck. I’m thinking of the single black mother earning about $30,000 per year (about the median level for all black women). She would receive a benefit of about $4,000 to help pay for time off from work to care for her child. Work remains a core feature of this plan. Recipients would be required to work prior to taking the time to qualify. Importantly, a woman could then afford to take time off and not be forced to drop out of the labor force and perhaps go on public assistance. Despite progress in business, education, and politics, black women feel they face an uphill battle. Some 70 percent of black women were sole breadwinners in 2015. These households depend on the paychecks of those hardworking women. Congress has a chance to come together on a plan that could actually pass and expand paid parental leave to millions of women who need it. Paid leave for time off from an employer is still ideal, but when that is not an option, Rubio's Social Security paid leave program would offer a fallback plan to help black women as they continue to close the gaps that hold them back.